I work for Berkley Prime Crime. That means every nine months I have a new baby. September, May, February...So far I've had eight little darlings, with another one on the way. Mind Your Own Beeswax's due date is May 3rd. I can't wait! And like every new parent, I want my baby to succeed. The difference between human babies and these new additions, though, is that they arrive already grown up, with all their beauty fully realized. Right along with all their flaws. No time left to mold and shape. That parts done. So we launch our newest into the world. We authors want them to succeed. Really, really bad we want that. 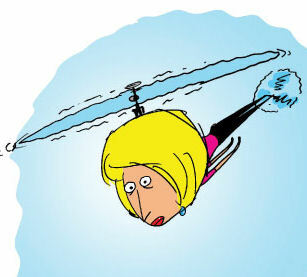 So we become helicopter authors, hovering, ready and willing to sweep away every obstacle that gets in the way. Helicopter parents use cell phones to accomplish their missions. Helicopter authors use the internet. It's our umbilical cord. And we work hard. Surf for reviews. Attempt to head off the bad ones. Sing our newborns praise on every social network, every forum, every blog we visit. Every single second that we aren't creating our next baby, we're protecting this baby in every way we can. We watch sales numbers at book sites all day, every day. And we keep track of our peers' sales, too, because we want our offspring to be better, do better. The thing we miss is that, at this point, our baby's future is really out of our hands. We've raised them the best we could. We infused them with all we had. Gave it our best shot. Now it's up to them. We have to learn to let go. To realize that some of them will meet our expectations (and more). And some of them will disappoint us. But no matter how they turn out, they will always be our babies and we'll always love them. So tell me, are you a helicopter (fill in the blank)? In the past few years, I've found that I'm becoming more of a curling daughter (I prefer the slightly more European/Canadian term "curling [blank]" because of the phrase "sweeping obstacles out of the way.) that I ever thought I would be! My mom is having a minor surgery on her (middle!) finger tomorrow, and I've called her several times today to ask (1) has it been cancelled because of inclement weather in the area, (2) who is driving her to and fro, (3) is she SURE that person should be driving her? he's blind in one eye and the roads may still be bad!, (4) be sure to call me when you get home, etc. 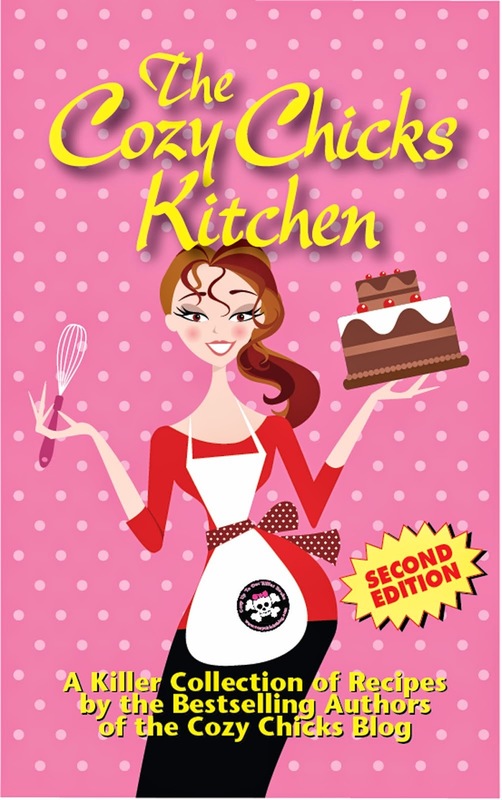 I just wanted to tell you, Deb, that I recently discovered your books through a suggestion on Sassy Girls' Book Club and have now read every one and loved them all!!! 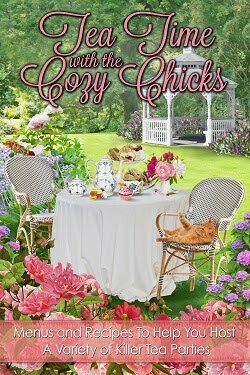 I LOVE books with the combination of humor, mystery and romance and your books fit the bill for me! So glad to hear you have another one coming out!!! Anon - thanks for reading my books!You made my day! 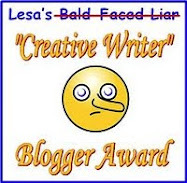 As I am not a mom, or a writer, I have nothing to hover about very much. My job is to waiting for my favourite authors to write the next book! So, question, if you stop hovering and surfing, could you write a book every six months?That is a reader wants after all, more books ... (okay, and more reading time). Aurian, that's my goal this year. At least two, maybe three. I'm a helicopter reader hoovering over author's blogs, social media sites waiting for that glimpse of their latest baby (book). Definitely a helicopter author, but hopefully not a helicopter parent. When I was a teacher, I used to want to take the blades off those parents so the kids could have some space to grow. I'm a helicopter author and a helicopter "person" to myself. I want everything I do to be perfect - which is a blessing and a curse. It makes me try really really hard so I don't give up. [Perseverance is my middle name] But it also makes me triple hard on myself. I do not expect the same perfection of those I love, which is amazing. Just me. Try, try, try again. 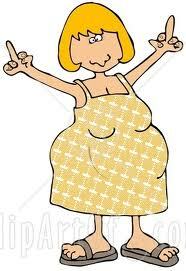 Did you know that your pregnant lady clipart is flipping everybody off, with both hands? It was a little jarring this a.m. with my coffee and half-asleep eyeballs. I don't think I'm much of a helicopter anything yet. I love my 7 year old daughter, but I know for her to be, I have to let her. She knows we are there for her no matter what. I am not that way with work. Those satellites will be fine and keeping them talking to Earth and all is a team effort anyway. I bet I would be that way, though, if I wrote and had something published.